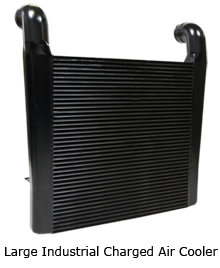 This type of Charge Air Cooler is most commonly used in automotive applications. 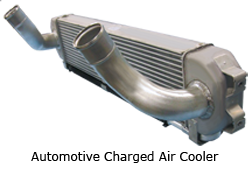 Typically it is used in a small displacement engine using some form of forced air induction. 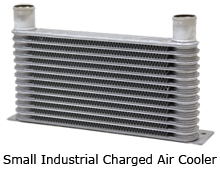 A Charge Air Cooler cools the pressurized air thus increasing air density for improved engine performance.